The debut novel of A.R. Baumann Under a Cloud of Rain is set for release on January 5. The book is the first part of Nick Noelle mystery series. If you love to explore the dark sides of the human nature, just hit the pre-order button. Ladies and Gentlemen, let me introduce you A.R. Baumann. 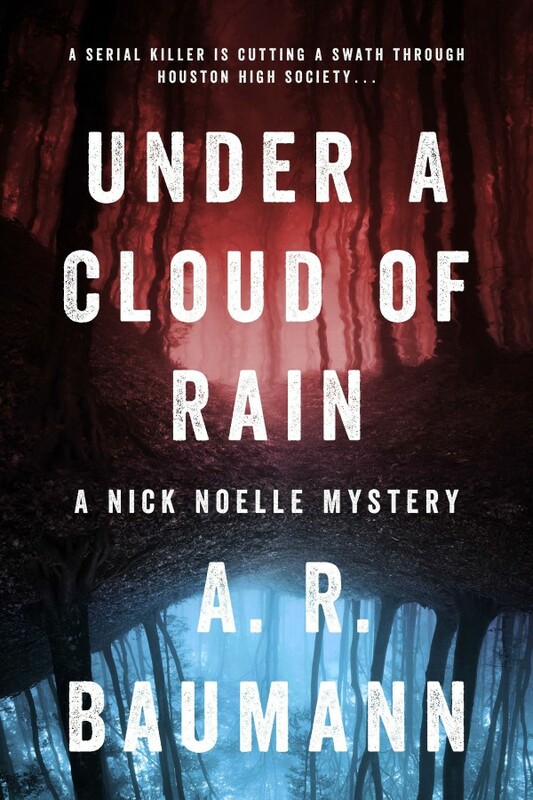 – A.R., what is your book Under a Cloud of Rain about? – Under A Cloud of Rain is about the murders of the most beautiful heiress’ from Houston’s wealthiest families. My detectives, Noelle and Lopez, are having a most difficult time working with these families of the girls, as they don’t want any detectives snooping around in their backyards—the police force is controlled by these families. In the atmosphere of 1970 Houston, it is humid, sticky, unbearably hot with heavy downpours causing chaos and havoc for the detectives to find evidence of the murder sights, as all the proof has been drenched from the rains. Time is ticking away as Noelle and Lopez fight to find the killer. – I have written for years but only literature. I always wanted to write a murder mystery and coming from Houston and a well-known family down there, I remembered a high society man who was killed by his wife. Somehow, writing about Houston back at that time, over 40 years later, was a project I had always wanted to tackle. – My biggest challenge was finding the detectives who were on the force at that time. I did find a few and I interviewed them about detective procedures back in 1970 Houston. I spent time at the precinct, saw the jails and padded cells where they still placed violent men in. I was even able to speak with the head of the Victim’s of Crime. – Tell us something more about your main characters Noelle and Juan? Are they close to someone from your real life? – I must say that my detective, Nick Noelle, was modeled after one of my favorite characters of all time, Popeye, who Gene Hackman played in The French Connection and some of the old Texan men I had met over the years. Lopez was the direct opposite of Noelle. A good Catholic man, slightly square, religious, with a big heart. Having that diverse connection, Noelle and Lopez grow to respect each other, but not until the end of the book. – It took me two editors and two years to write and finish the book. 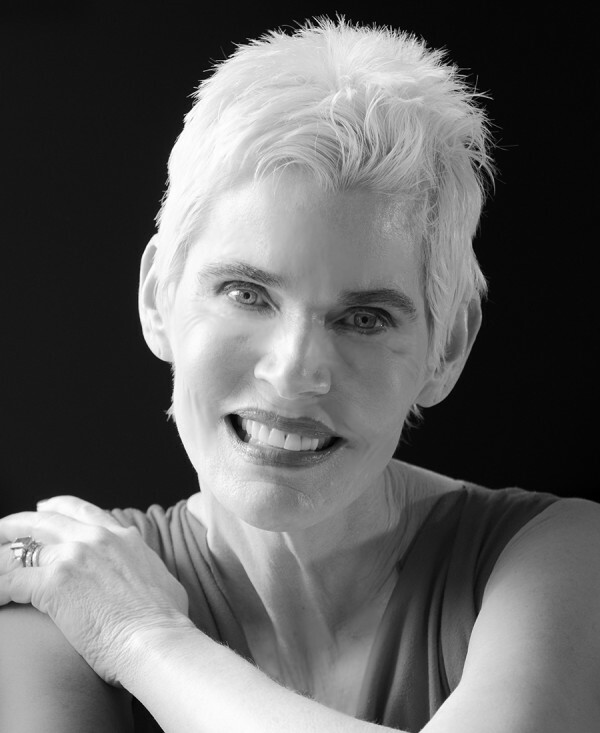 – I am an overgrown fashionista, wife, mother and grandmother who loves to play. – I write two hours a day, five days a week. These days, I usually write in the afternoon. When I was younger, I wrote my best work at night. – Who was the first person how read Under a Cloud of Rain and what were the first words he/she gave you as a feedback? – That’s funny because my greatest friend read it and was horrified by all the killing. – I have been promoting my book through Facebook. I have many friends around the country who are spreading the word. My good friend, Ann Becker, also a writer who owns Becker Books in Houston, is helping me post on Facebook. Basically, it has really been word of mouth. – I am not sure what direction I will go in. Although, I have two books I have left unfinished. If this book does well, I might write another Nick Noelle novel. – Why you selected the crime genre for your literary field? – I feel like the crime genre selected me, as I had no idea that my first novel published would be one of crime. – You wrote a couple of screenplays. What is the difference between plotting a movie and a book? – When you are writing a screenplay the description is limited although very important. The dialogue or lack of it is imperative. You have actor’s playing the characters and the description is limited and it is the director’s vision instead of the writer’s. Writing a book, the reader of the book uses his or her imagination for description and the characters, there is much more room to describe in detail the scenes. – Why do I write? I write to be heard. Posted on December 2, 2015, in Author, Books, Interview and tagged A. R. Baumann, author, book, Under a Cloud of Rain. Bookmark the permalink. Leave a comment.